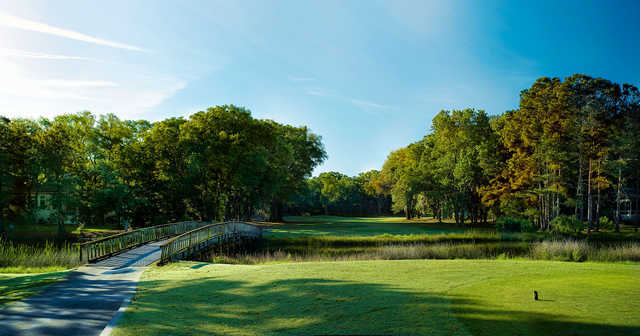 A Pete Dye redesign of a George Cobb and Willard Byrd original design helped take the Robber's Row Course at Port Royal Golf Club toward the head of the pack on Hilton Head. A Pete Dye redesign of a George Cobb and Willard Byrd original design helped take the Robber's Row Course at Port Royal Golf Club toward the head of the pack on Hilton Head. 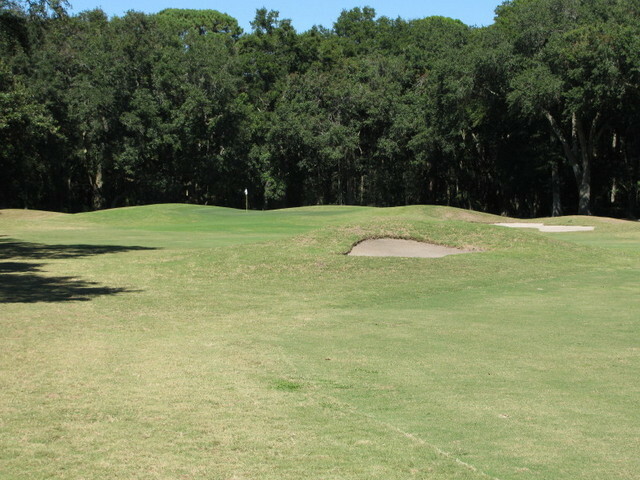 Dye added or redesigned 43 bunkers on the front nine, changing par from 35 to 36 and did some shortening on the back nine to change par from 37 to 36. 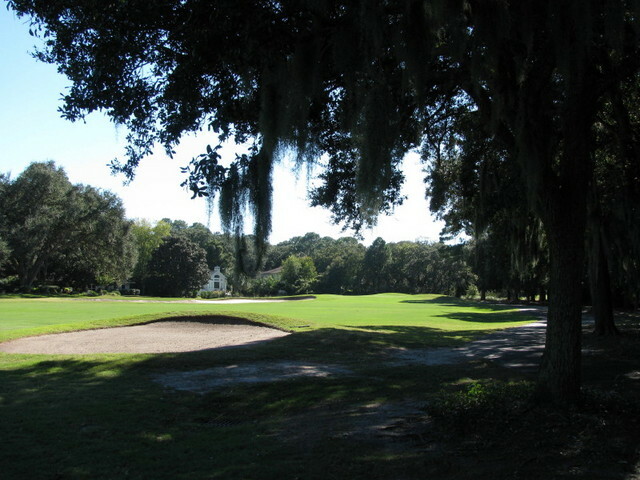 The golf course plays little more than 6,000 yards, with a somewhat-friendly 124 slope rating from the tips. Players will have to do some work on their approach shots, as the Cobb/Dye design keeps its greens well protected with bunkers. 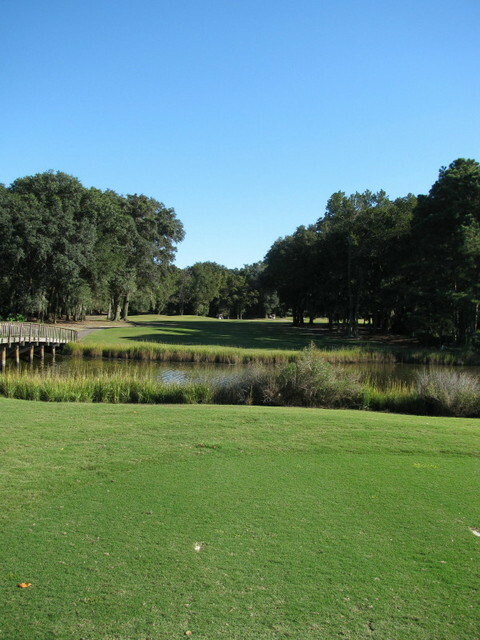 The golf course is a scenic delight, however, and in a nice move, you get history lessons at the tee boxes to help let you know the past of the area you are playing, which was once an important location in the Civil War. Just a quick note from my last experience at your golf course Robbers Roost. 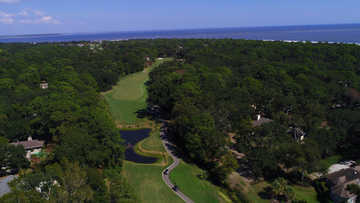 My father and I played there on Wednesday, October 18, 2017. Our tee time was scheduled for 11:00am, and we actually teed off around 11:15am with another couple. On the 12th hole, the marshal met us before we got to the green and quite impolitely told us that we had to pick up our pace. The next group in front of us was now 4 holes ahead of us, he said. He did not mention that the group in front of us was a twosome (all four in our group watched them tee off on #1, we saw there was only two in that group). We said OK to his request/demand. Just before all four of us got out of our carts at the 13th green, another employee approached us and told us that the clubhouse had received phone calls (presumably from the group behind us) complaining about our pace of play. He told us to skip the next hole (14) and to split into 2 twosomes for the remainder of the course (15, 16, 17 &18). We said OK. My dad and I let the other two in our group go first at 15. 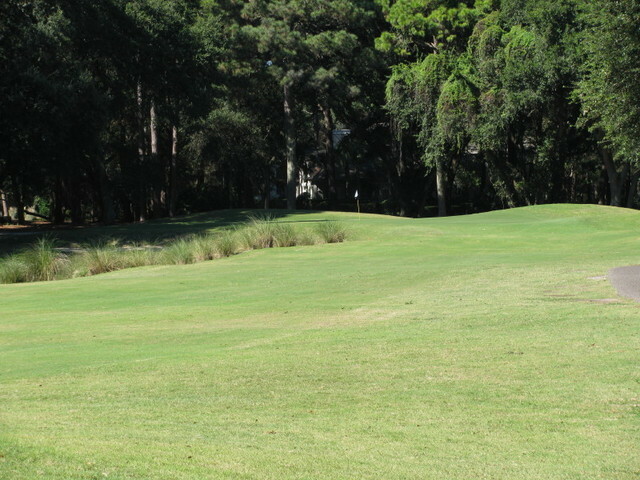 Instead of waiting for them to finish the par 3 #15, we dropped balls on the fringe of the 14th green. 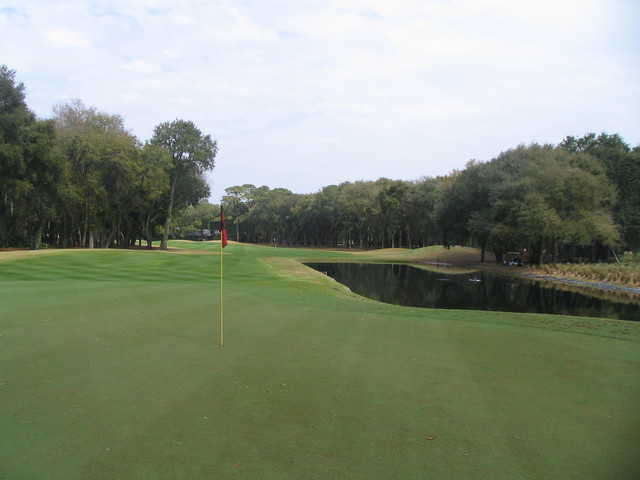 We chipped and putted out, then played #15. 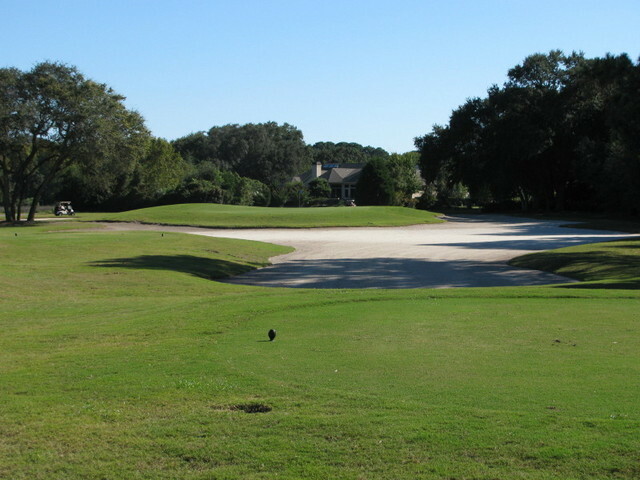 When we finished the 18th, we drove to the clubhouse to drop bags. I looked at my watch when the cart valets were removing our bags. It was EXACTLY 3:30 pm. It had been 4 hours and 15 minutes since we teed off on #1. Posted at #1 tee is a sign that the expected pace of play is 4 hours and 30 minutes. We were 15 minutes short of YOUR posted time for expected pace of play. 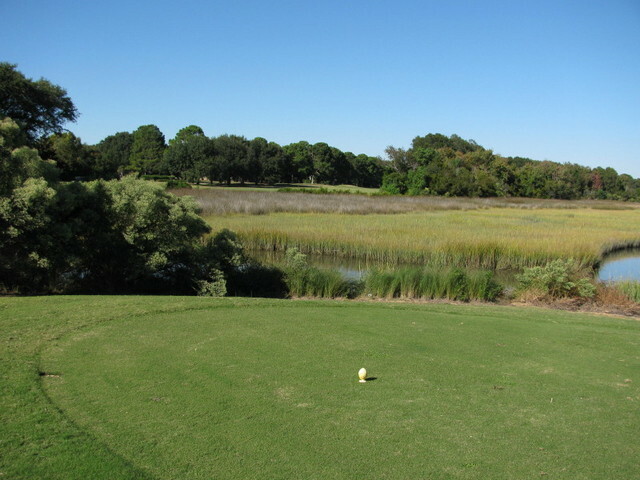 Granted, dad and I did not play all of #14, but we only missed out on maybe 2 strokes each. I asked the cart valets if being asked to skip holes by a marshal is normal. Each valet (3 of them) said they have never heard of that before. I went in to the clubhouse/pro shop and asked the employee there if in fact he had been called as stated by the marshal. He said he had no idea what I was talking about. 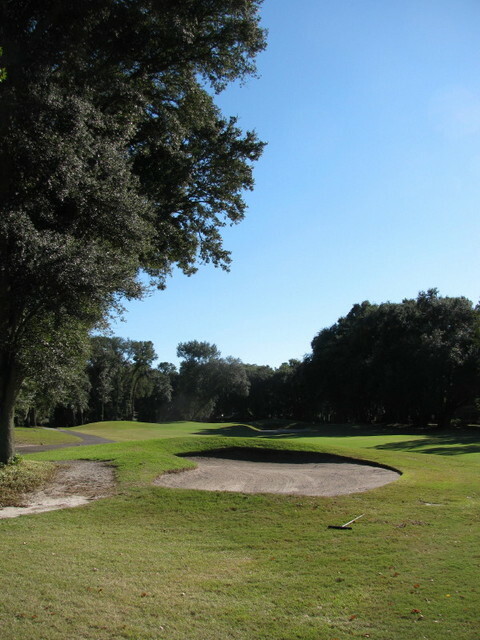 This experience is EASILY the worst experience I or my father have ever had at ANY golf course.